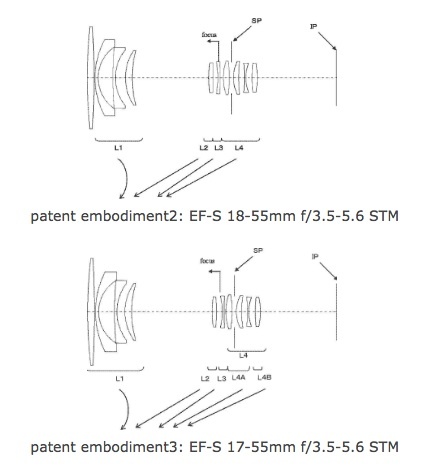 Egami (translated) found a patent filed by Canon that appears to refer to new kit lenses: 17-55mm f/3.5-5.6 STM and 18-55mm f/3.5-5.6 STM. s you can see both lenses feature Canon’s newer STM (stepping motor) technology to drive the lens. STM is almost silent when operating, hence useful for videography.